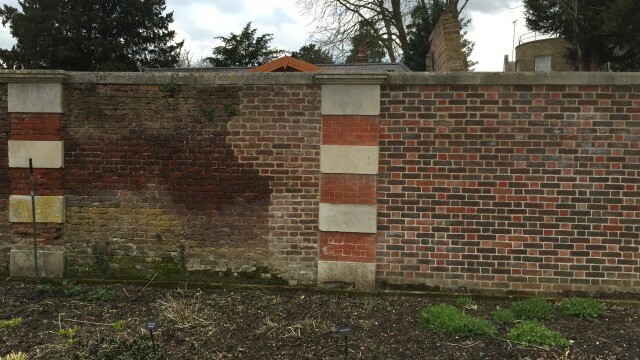 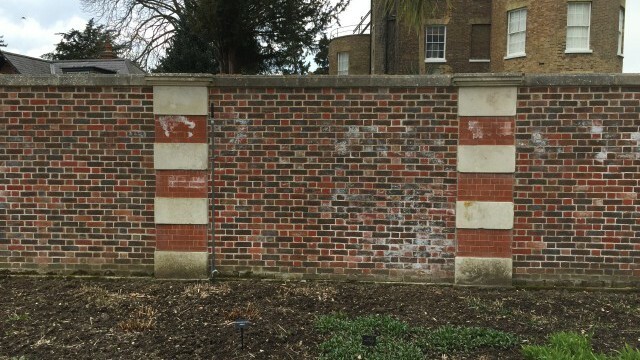 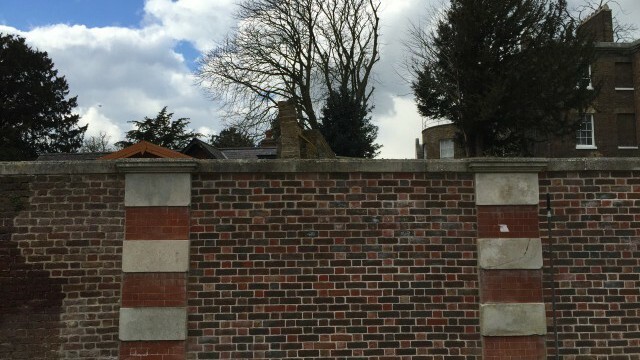 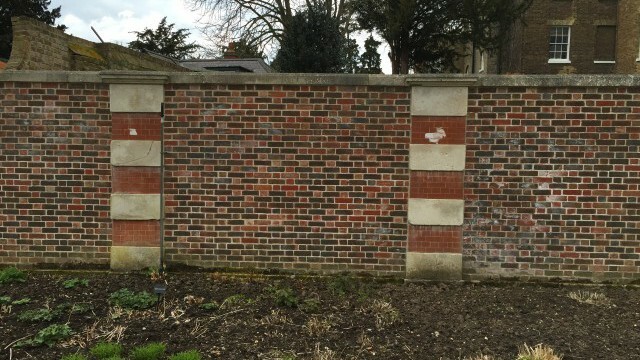 Long wall restoration at Ivy House, Hampton Court Road. 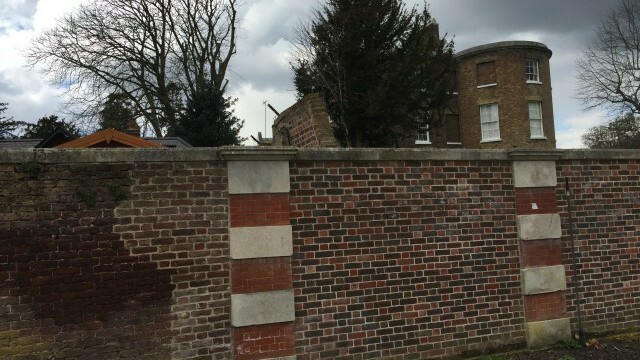 The wall fell down due to ancient oak tree growing through the foundations. 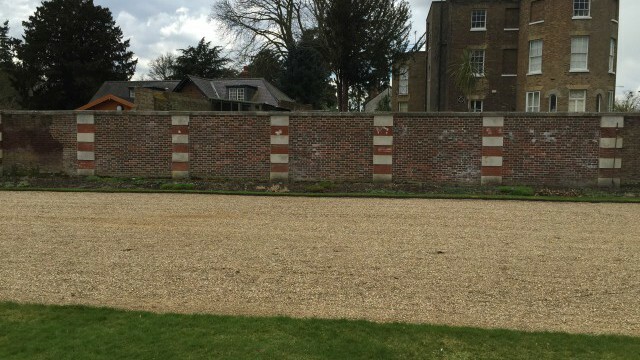 Rebuilt back to its original design after careful recovery of all the bricks and stone.